The garden at The Bug Farm is a space for both humans and bugs to enjoy! 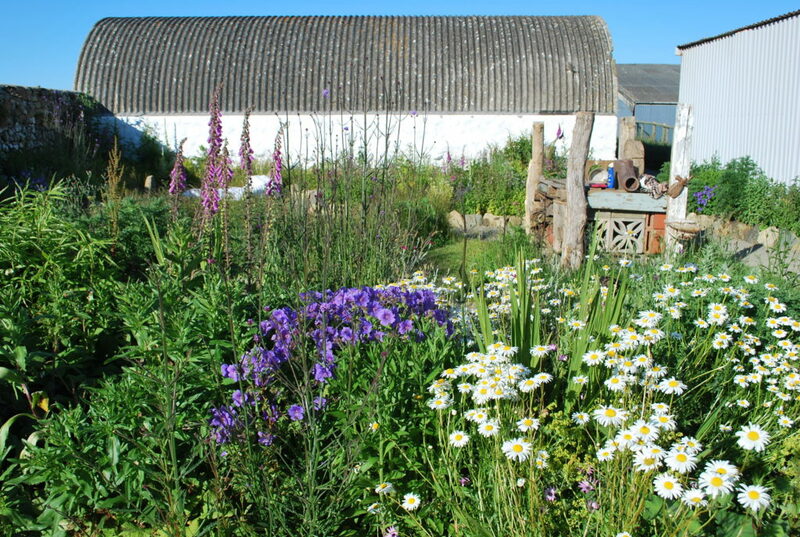 When Dr Sarah Beynon took on the farm in late 2013, the garden was looking less than loved. Brambles had taken over the remains of a glass green house, the stone walls were crumbling and a matt of long turf covered the entire space. Thanks to the energy of The Bug Farm team, the hard work and green fingers of some incredible volunteers and the generosity of friends, we have been able to transform the garden. The farm’s beautiful Walled Garden is still a work in progress but is being lovingly restored to its former glory. We have created raised border beds, a focal flowerbed and a herb bed. There is a path running throughout and a small but mighty wildlife pond. 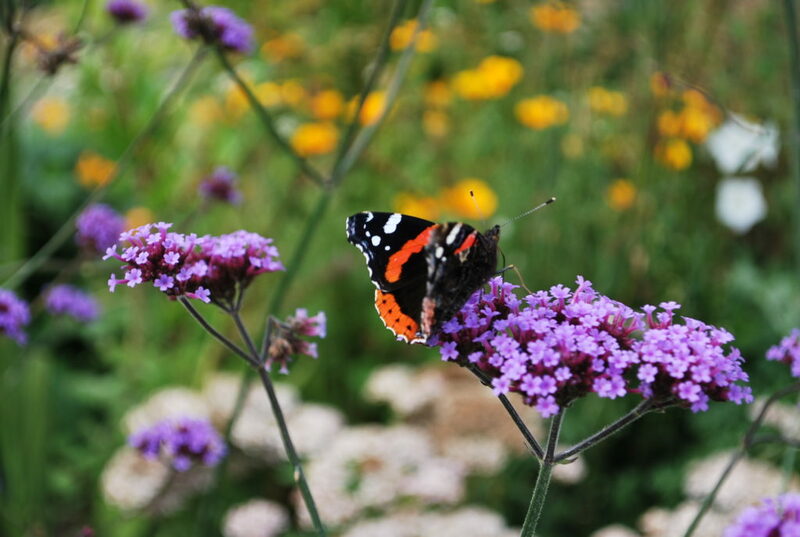 The whole garden has been designed to benefit our native invertebrates so look out for butterflies, bees and beetles thriving amongst the flowers! A bug palace, also very much a work in progress, is a feature that attracts numerous beneficial insects to the garden while our planting ensures year-round nectar and pollen sources for our pollinators. 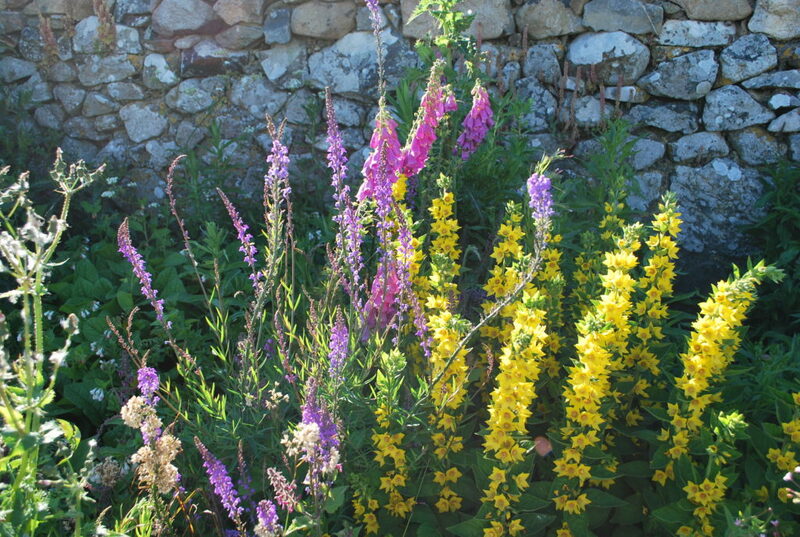 We are developing the garden as an educational space, showcasing how to garden for wildlife. This, therefore, is not a garden of manicured lawns and precise planting but is instead a natural space that we share with our wildlife. Our ‘messy’ wildlife corners and traditionally ‘weedy’ patches allow us to enjoy the aerial battles of emperor dragonflies, black clock beetles marching round on slug patrol and butterflies fluttering in the sunshine! 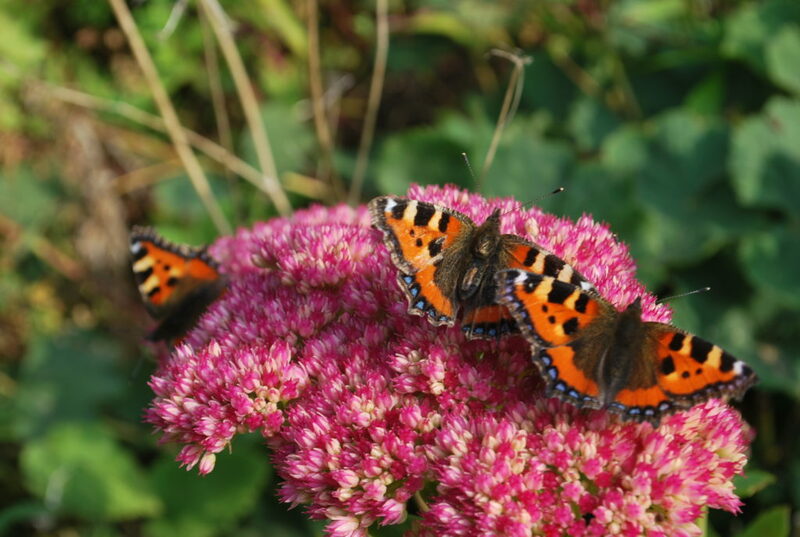 We would love to invite you to take a moment to enjoy our wildlife garden and hopefully be inspired to include some areas for wildlife in your garden at home. All photos copyright The Bug Farm. Please ask if you would like to use them on any online or print media other than on The Bug Farm’s Open Gardens page.